Our floral definition of a white Christmas. 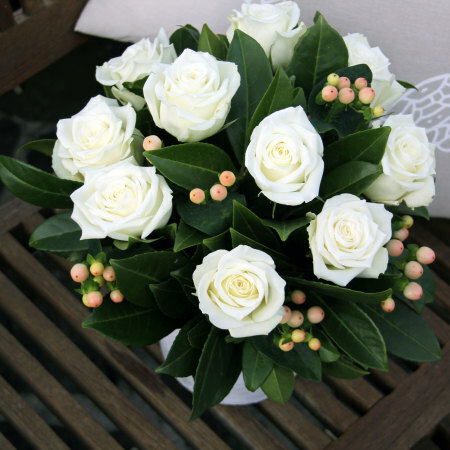 Perfectly pure, pristine white roses arranged in our chic `Paris` pot with lush green foliage and white hypericum berries, reminiscent of little snowdrops. A classic and elegant Xmas flower arrangement ideal for staff and client gifts, as well as friends and family. A bottle of bubbly would make an excellent accompaniment! To send flowers for Xmas, simply select your favourite design online or give our consultants a call toll free on 1800 66 66 46. 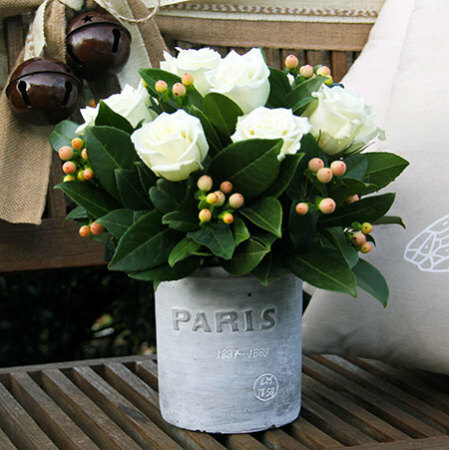 *Please note: The pictured flower arrangement and `Paris` pot is specific to Sydney only deliveries. 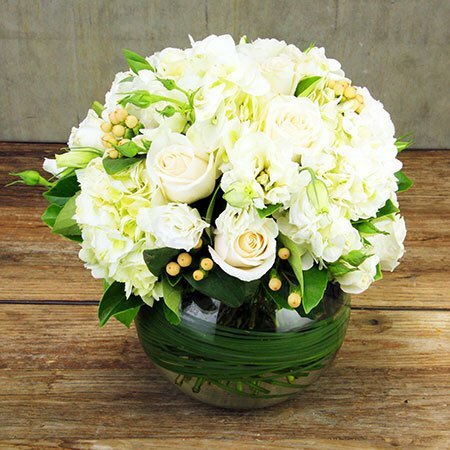 For flower deliveries outside Sydney, our florists will coordinate via an affiliate florist network to recreate our style and presentation as closely as possible. Order five or more White Xmas flower arrangements for clients and staff and receive $16 off the retail price. Email our florist elves on [email protected] or phone toll free on 1800 66 66 46 to arrange.